It has a long sandy beach and is a thriving town, it links to the South West Coast Path and has a good rail service and bus links. 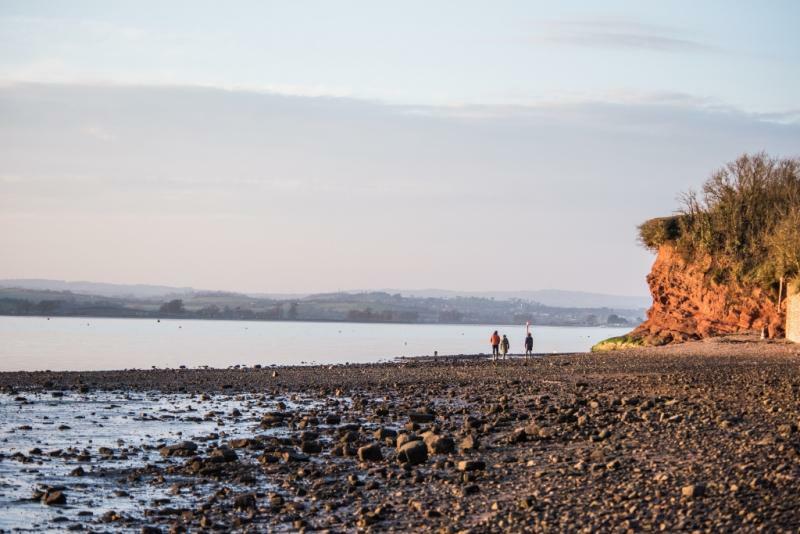 The walk starts at the estuary, one of the biggest Local Nature Reserves in Devon with a massive area of tidal sand and mud at the southern end of the Exe estuary. It’s a globally important area for winter birds. The route passes A la Ronde, a National Trust property and a lovely place to stop for a cup of tea, onwards the trail winds through Lympstone Common a pleasant woodland area and then on to Blackhill Quarry where you may see grazing ponies. Woodbury Castle for fabulous views.